The country's leading car-rental companies have agreed to back legislation barring rentals of recalled vehicles before they have been repaired - a controversial practice that led to the deaths of two California sisters in 2004 in an Enterprise rental and to their bereaved mother's long campaign for change. 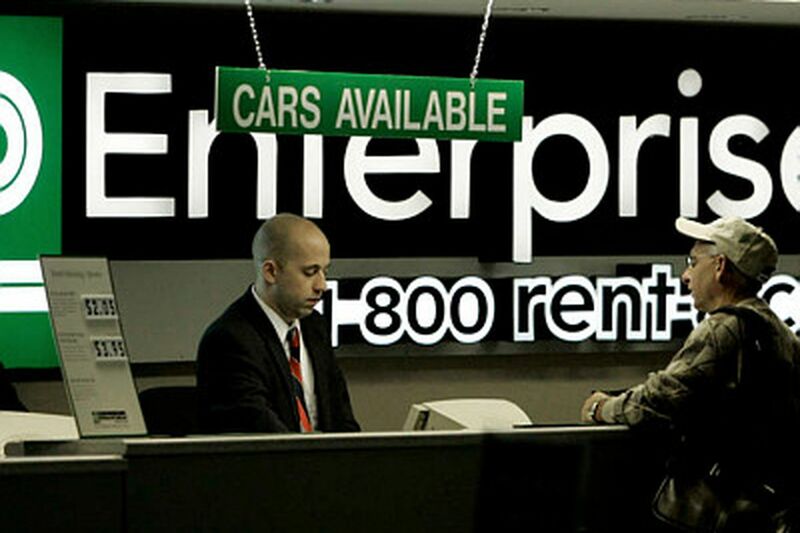 A spokeswoman for Enterprise Holdings, the largest car-rental company and owner of the Enterprise, National, and Alamo brands, said the company had already changed its practice but had initially resisted a legislative mandate. She said it switched course after hearing from customers who wanted a clear federal rule. "At some point, you realize that if this is what your customers want, you need to deliver," Enterprise's Laura Bryant said Thursday at a Capitol Hill news conference called to announce the agreement on legislation cosponsored by Sens. Charles E. Schumer (D., N.Y.), Barbara Boxer (D., Calif.), and Claire McCaskill (D., Mo.). Joining Bryant were executives of Hertz, which says it has barred such rentals since the '80s, and Avis Budget Group, along with Carol "Cally" Houck, the grieving mother who Boxer said "never rested till she learned the truth." Houck, an Ojai, Calif., lawyer, endured a parent's nightmare in October 2004 when she learned that her daughters, Jacquie, 20, and Raechel, 24, had been killed in a head-on car crash while driving home after a family gathering. Her sorrow turned to anger - and eventually to a petition drawing more than 160,000 signatures on Change.org - after she learned her daughters' rented PT Cruiser had been recalled for a defect that apparently caused an under-hood fire and loss of control. Houck declined settlement offers because she wanted to avoid the typical confidentiality agreement that bars victims from speaking. On the eve of a 2010 trial, Enterprise admitted liability and accepted a jury verdict awarding $15 million to the family. "I had nothing to lose - I'd already lost," Houck said after the news conference. "What I was looking for wasn't justice, because justice would never have allowed this to occur. What I was looking for was accountability." Houck teamed with a California group, Consumers for Auto Reliability and Safety, whose president, Rosemary Shahan, helped her find allies in Congress and at other advocacy groups. Houck said she was hopeful the bill would now win quick passage. The senators said the revised proposal would generally prohibit the rental or sale of an unrepaired vehicle by a car-rental company, and would require grounding "as soon as possible but no later than 24 hours after the rental company gets the safety recall notice." To help companies manage, the companies could get an additional 24 hours to deal with recalls that affect more than 5,000 vehicles in a company's fleet. They will also be allowed to make temporary repairs identified by an automaker to eliminate a safety risk, as long as they fully address the defect once parts become available. Boxer singled out Hertz, the second-largest rental company, for backing that she called crucial to winning broader support, including from companies with 93 percent of the rental market. "I just want to say to Hertz how much it meant to all of us when you stepped up to the plate," Boxer said. Contact Jeff Gelles at 215-854-2776 and jgelles@phillynews.com.